The company is based in Finland and if you love midcentury-inspired Scandinavian design, you’ll probably want to know more about Polkka Jam. 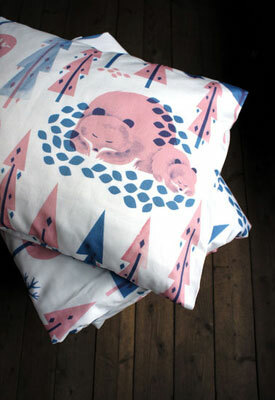 There’ a whole range of design available on the site, not just focused on children. 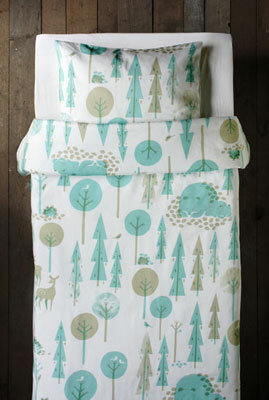 But our favourite design is the Talviuniset children’s bedding. 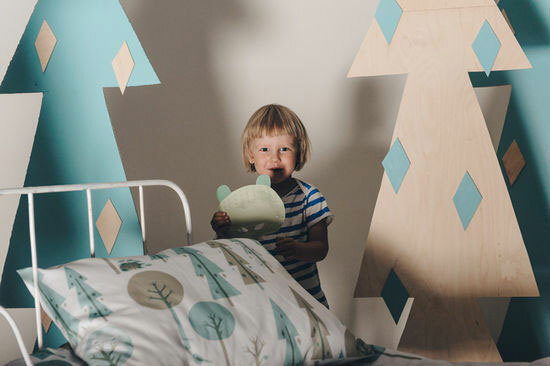 Talviuniset (aka Winter Sleepy) is made of organic cotton, with the set including a pillowcase and duvet, all of which is produced in its native Finland. It isn’t the cheapest bedding you’ll see at €129, but it’s certainly some of the most stylish.